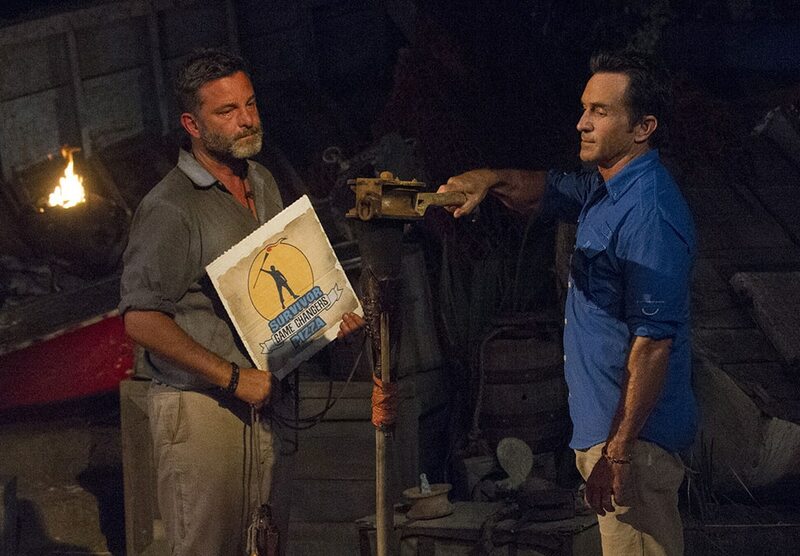 Everything that Jeff Varner said at tribal council was disgusting and terrible and destructed his entire Survivor career in the blink of an eye, but we have to remember that no matter what, Jeff Varner was always going home in this episode. So let’s put all that went on at tribal council aside for the sake of this article and talk about why Jeff Varner was voted out of the game and what if anything before that tribal council he could have done differently to save himself. A crucial factor to Varner’s elimination is simply down to the dominance that original Nuku has had over original Mana in the game. Going into the merge, only Hali, Troyzan, Aubry and Michaela remain from original Mana. That isn’t quite as bad as Ulong from Survivor Palau when only Stephanie LaGrossa made it to the merge but it is still pretty ridiculous. The only person from original Nuku who has been voted out is JT, highlighting just how much of a dominance they have had in this game. You would have to think that this is a key reason as to why Sandra and Jeff were the first two people voted out of the latest version of Nuku instead of Debbie and Tai. Debbie and Tai simply have that original Nuku connection and have had more exposure to being on the same island as the rest of the tribe then they have had with Jeff and Sandra. Unfortunately for Jeff I think it’s safe to say if he had just started on Nuku to begin with and his presence doesn’t cause them to lose more challenges, he probably makes the jury for the first time ever. Now it would be very easy to say that Jeff Varner should have been more focused on building connections with his tribe-mates than plotting against Ozzy or trying to find every little deceptive thing about Zeke. But I don’t think that was Jeff’s problem at all! Jeff made a real attempt to get to know Zeke on a very personal level before his moment of madness. He also had positive discussions with Sarah. So unless we are expecting Jeff to be some Earl Cole sort of social genius, there really isn’t that much more he could have done in saving himself after Sandra was taken out of the game. Some people argue that perceived weakness is a good thing in Survivor; I usually tend to disagree. It’s no secret that Jeff isn’t great at challenges and if this tribe had any indication that they’d be together for another vote after this one then Jeff was always going to be the obvious boot. Beyond challenges, Jeff also has a perceived weakness about him in other aspects of the game. He’s not one to go looking for idols and he’s not known for any degree of loyalty or any kind of specific strategic reason that you would really want to keep him around if you only knew him for six days. In contrast to Tai and Debbie, Nuku might have felt threatened by the thought of Tai having an idol and in Debbie’s case I think often times other players feel as though if they just tend to the ego of that kind of character that there is never any reason to get rid of them pre-merge. Just look at an Abi-Maria Gomes for example who made deep runs in both of her games despite always just being a piece moved around the chess board by other players. But Jeff isn’t that kind of player. So these strengths that Tai and Debbie have in the game that others want to take advantage of, Jeff just doesn’t have. So in short, Jeff’s perceived weakness in not being someone that is likely to have an idol and more notably not someone who is going to give them any sort of an advantage in challenges or in the game as a whole certainly plays a role in his elimination. Again this has nothing to do with tribal council. Zeke Smith is the architect of Jeff Varner’s demise because it appears as though Sarah and Andrea really might have been considering taking out Ozzy instead. But Zeke, from what we were shown, was the one who stood up and said that they had to keep Ozzy in the game. The New Yorker did his best to make the Californian feel safe, but knew all along that he had the power to send him home with ease. And send him home he did! Zeke has not only positioned himself in the best position out of anyone in that Tavua group but he seems to have gained the most trust and no one seems to be coming after him. That in turn gives him the most power on his tribe without really ever appearing like the figurehead. Ozzy would have no doubt also had a major role in sending Varner home, but Zeke could have easily turned around and gotten everyone to vote out Ozzy instead, which can’t be said about these two in reverse. So as a result for the second week in a row, Zeke Smith is the architect of someone’s demise in the game. Shot In The Dark Prediction: 18th place. Thoughts: I love Jeff Varner but the only way I see him doing well is if the other players fall asleep for 39 days, which they certainly won’t. Jeff is probably going to be painted as a smarmy strategist and a liability in challenges right away and will likely be a pre-merge boot yet again. However, he is such fun TV and it really will be so enjoyable to see him back again. I just don’t know if he has what it takes to make it to the merge, let alone win the game. Obviously it’s safe to say I no longer love Jeff Varner. You can hear more of my opinions about that here! But other than professing my love for the Survivor Cambodia 17th place finisher, it seems as though everything else I said turned out to be pretty accurate. He was sort of painted as a smarmy strategist, he was always a liability in challenges, he made for fun TV until his moment of madness and for a while there until this episode, it was pretty enjoyable to have him back on the show. He lasted longer than I thought he would and kudos to him for that. All in all again if you take away that horrible incident, he certainly played a much better game than he did in Cambodia and it resulted in him making it a whole lot farther. But I am sure he would probably have rather had his legacy end after that season than turn out the way it now has. It’s also safe to say that this will be the last we see of Jeff Varner on Survivor. So as BB16’s Zach Rance would always say, Jeff, see ya never! I think Jeff Varner already got quite the sendoff in the other article written about him this week. 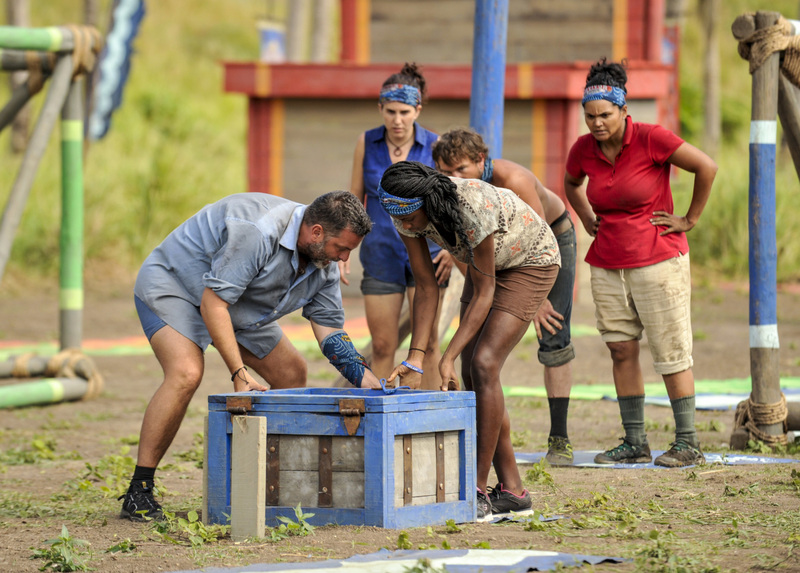 But I do want to say, and this doesn’t excuse anything he did, but Jeff Varner up until this past Wednesday night, was a great Survivor character. That’s why Jeff Probst fought to have him back on so many different occasions. And that’s also why this is all the more disappointing. A lot of us have been Jeff Varner fans for years, and every other act he’s ever done on Survivor would indicate he would never even be capable of doing something so terrible. But in the end he did and in doing so he let down every fan, player or producer that’s ever believed in him, and that is just so disappointing to see. Jeff Varner will never return to Survivor. Until Wendesday night he was one of my top thirty favourite Survivor contestants of all time. Now after the horrible thing that he did, I am happy that he will never be returning to this show ever again. Goodbye forever Jeff. For more articles like this, check us out Twitter! And check out more in the Why _ Was Voted Out Series right here! See you next time!